Los Angeles Sparks guard/forward Alana Beard was named WNBA Defensive Player of the Year for the second straight season, the league announced on Thursday. Beard is the fifth player to win the honor in back-to-back-seasons. Beard received 16 of 39 votes from a national panel of sportswriters and broadcasters. 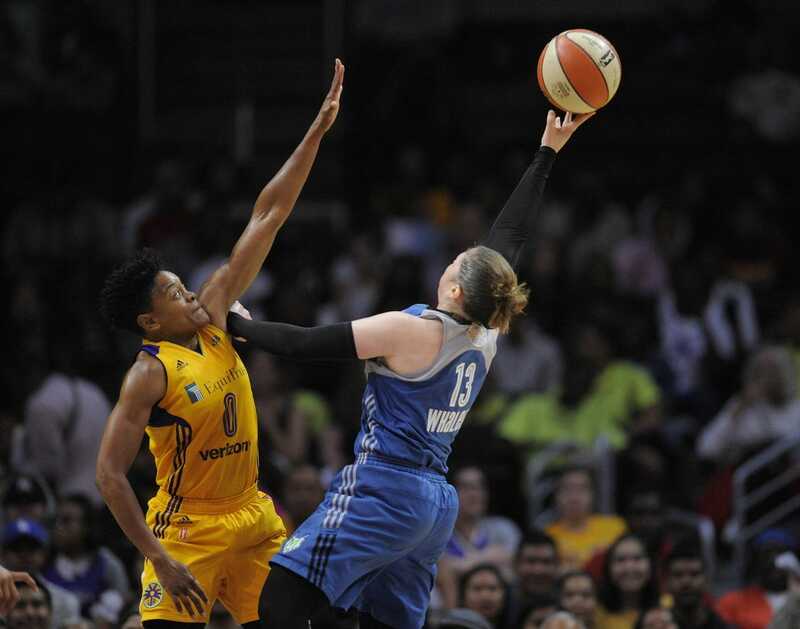 Sylvia Fowles of the Minnesota Lynx was the runner-up with nine votes, while Tiffany Hayes of the Atlanta Dream was third with four. Beard ranked fourth in the WNBA in steals per game (1.47) as the Sparks posted a league-best 7.94 per game as well as leading the league in scoring defense (77.0). The eight-time All Defensive Team selection also averaged 4.0 points, 3.3 rebounds and 1.7 assists this season.